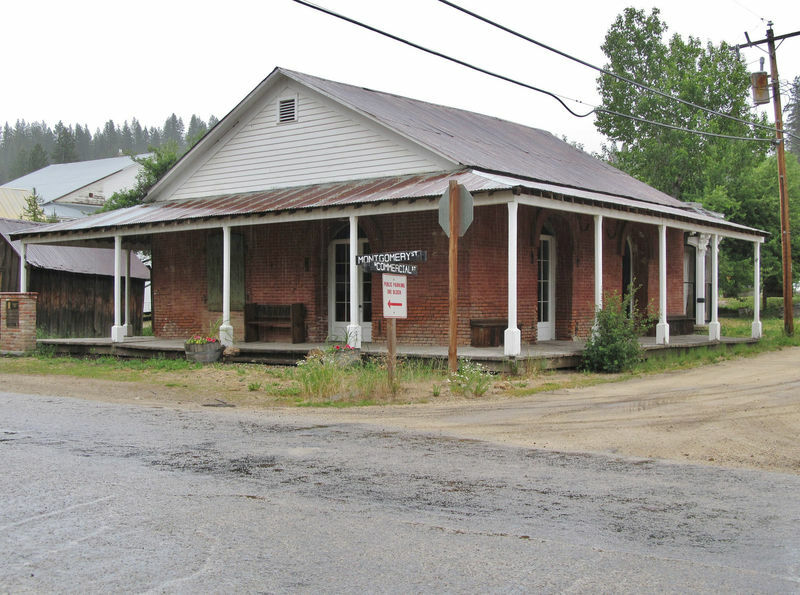 The last remaining trace of the once bustling Chinese community in Idaho City, the Pon Yam house gives us a glimpse into the lives of Chinese miners in the Boise Basin area. Between 1860 and 1875, the Chinese population in Idaho dramatically increased. In fact, at its height, the Chinese accounted for over 30 percent of the state’s population—the highest per capita amount in the entire nation. Following the alluring promise of gold, Chinese miners flocked to Idaho’s mountains. These Chinese miners, just like their white counterparts, bought mining claims and settled into their newfound communities. Well respected by both whites and Chinese, Pon Yam lived in Idaho City for 20 years before returning to his hometown in China. 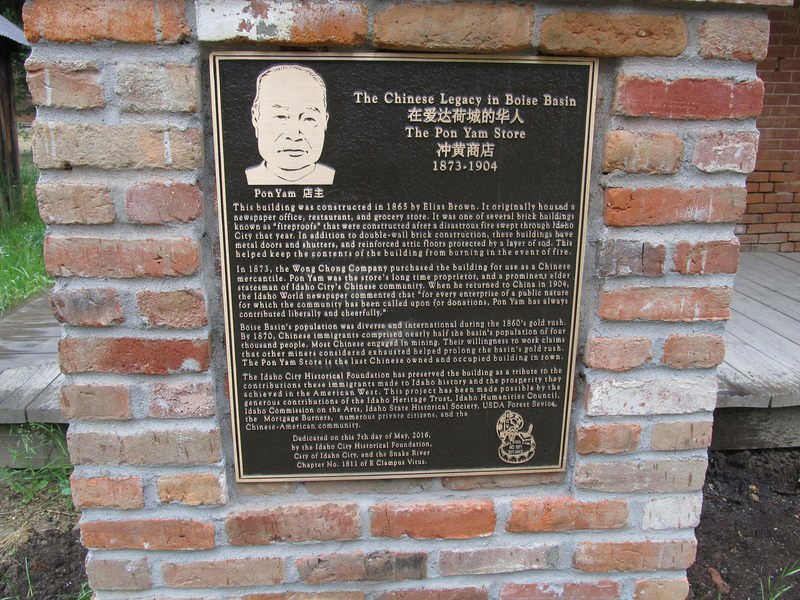 During his sojourn in Idaho, the Pon Yam House became the heart of the Chinese community. Festivals and other Chinese celebrations were held at the store and for these special occasions, Pon Yam would decorate the store with his own paintings and ornaments. Additionally, Pon Yam and other Chinese participated in local American festivities. One newspaper reported that during a Fourth of July celebration Pon Yam and other prominent white merchants donated money for a new schoolhouse. 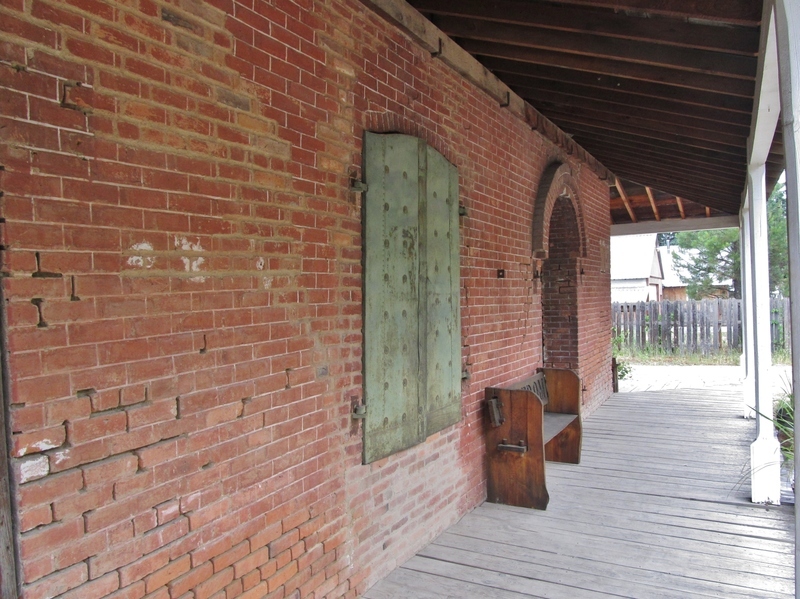 Today, the Pon Yam House serves as a reminder of the integral role Chinese played in the early history of Idaho City. Furthermore, Pon Yam’s life demonstrates that Chinese immigrants were both active and effective members of their community. 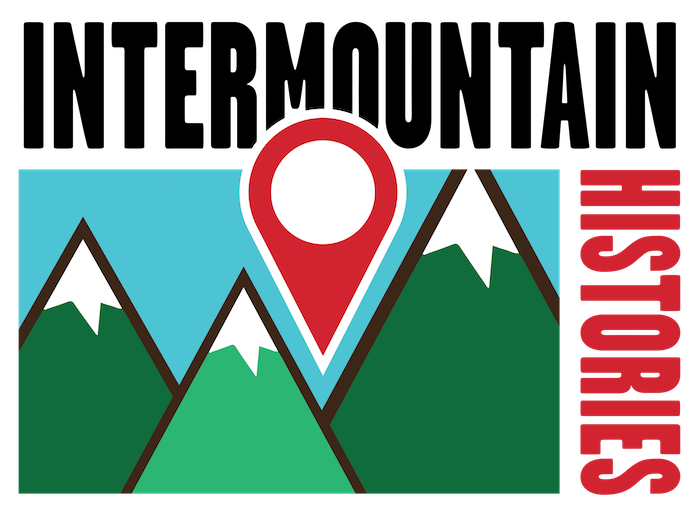 Dani Carmack, Brigham Young University, “Pon Yam House, Idaho City,” Intermountain Histories, accessed April 19, 2019, https://www.intermountainhistories.org/items/show/129. 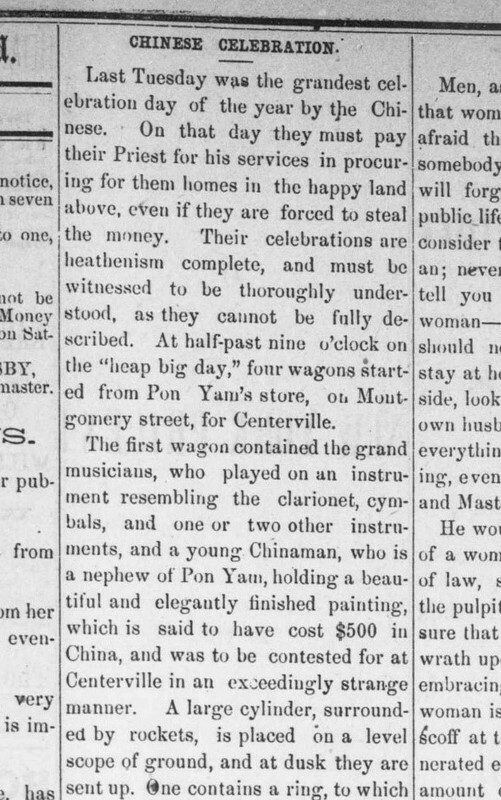 “Chinese Celebration.” Idaho Semi-Weekly World, March 02, 1877. Chung, Sue Fawn. In Pursuit of Gold: Chinese American Miners and Merchants in the American West. Urbana: University of Illinois Press, 2011. “Dissolution Notice.” Idaho Semi-Weekly World, November 05, 1875. “Untitled.” Idaho Semi-Weekly World, July 31, 1877. “Untitled.” Idaho Semi-Weekly World, February 05, 1886. Wegars, Priscilla. “From Old Gold Mountain to New Gold Mountain: Chinese Archaeological Sites, Artefact Repositories, and Archives in western North America and Australasia.” Australasian Historical Archaeology 21 (2003): 70-83. Zhu, Liping. “Chinese Inclusion in the History of the American West.” Journal of the West 45, no. 1 (2006): 3-7. Ebscohost.